Five years have passed since Petra and Tina were determined to explore the dilapidated house on Princess Street. But what started off as a dare ended with the two girls vanishing. As Mandy’s memories of the disappearance of her two friends are ignited once again, disturbing details will resurface in her mind. This young adult thriller is a very easy read and I found it to be a real page turner. We are told the story from two points of view – Mandy in the present day, aged 17, and Petra five years previous. The story itself is quite intriguing as we find out how Mandy had infiltrated the close friendship between Tina and Petra, before the latter two girls entered a creepy house and disappeared. 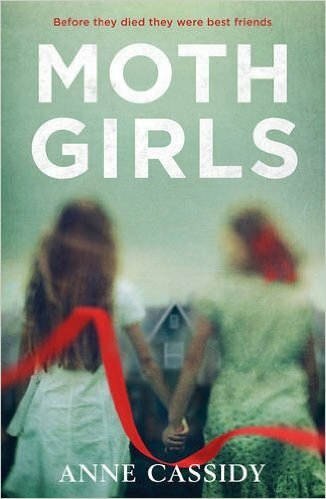 Mandy has lived with this guilt in the intervening five years, and the anniversary of the girls’ disappearance stirs up old memories. Gradually we begin to build a clearer picture of what happened all those years ago, and this really gets going when we start to hear Petra’s story and get a whole new perspective on events. I found myself really sucked into this story – but despite this I did have some serious problems with it! First of all, the book is set in North London, in an area I know well, and I expected this setting to add something to the novel. Instead, it may as well have been set in a tiny suburb in the middle of nowhere for all the sense of place that was created. It felt so unlike London – and the chances of you finding a school off the Holloway Road populated solely by students with names like Mandy, Tommy, Tina, Joe, Zoe, Toni are frankly ridiculous and seem to show little understanding of the huge diversity of this area. Even the newsagent was called Alfie Johnson! I can guarantee you could visit every one of the thousands of newsagents in this city and you would not find a newsagent with the surname Johnson! The teenagers in the novel also spoke in a really unbelievable way. They all had very similar, formal voices, giving no personality to individual characters and also showing none of the nuances that make teenagers come to life in a novel. I also found that Petra’s voice when she was 12 was indistinguishable from Mandy’s when she was 17, and it was hard to believe that Petra was supposed to only be 12. So although I did enjoy reading this book, and it was a good piece of escapism, I did find the writing style poor in many ways and I was really surprised that the author had actually grown up in London. The city setting could have added personality and edge to the book and this seemed a missed opportunity. The characters were also never really brought to life – they were all a bit flat and lacked any strong personalities. The interesting plot just about rescued the novel but it didn’t make me very likely to read more by this author.